Come enjoy some great music and wine in the vineyard! Bring your snacks & picnics! We have a tent for inclement weather and plenty of seating but you are welcome to bring your own as well. Cover charge will apply. Friday, May 17 6:00-9:00 Blessing of the Vines, Music provided by Terry McCauley. The blessing will be done by local priest, Father Troy. Check Out Our Music Event Pictures! Check Out Our Local Tasting Pictures! Saturday, November 28 – 11:00 a.m. – 6:00 p.m.
Saturday, June 22 8:00 a.m.
Saturday, July 13 8:00 a.m.
Sign Up For This Event Today! Check Out Our Special Events Pictures! 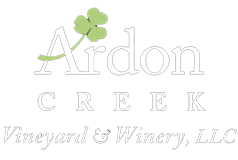 Ardon Creek is an ideal location for your next meeting or gathering. Be it an office party, bridal shower, wedding, reception or tasting, our beautiful sweeping views of the vineyard will make your event memorable. We are a short drive from Muscatine, the Quad Cities and Iowa City and offer an expansive patio area and access to a covered tent structure that can accommodate small to large groups. For more information please contact Diane in the Tasting Room at 563-506-8044.